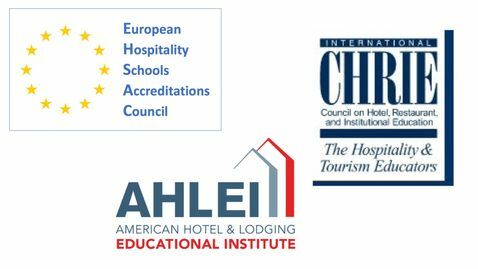 SHG Swiss Hospitality Group is a group specialized in Hospitality, therefore we have several schools to teach Hotel & Tourism Management to students coming from all over the world. Each school is for Under-Graduate and Post-Graduate students wishing to become managers in the hospitality industry. The prices and the lengths of the studies vary from a school to another due to the market, however, SHG aims to offer the best quality of education in hospitality in every country where SHG has a school. Our campus is located just outside Geneva near Geneva Airport, which is very convenient to avoid the jammed city center. In addition, there are many restaurants, cafes and a shopping mall at only a few minutes away. The access is very easy by Train, Tram, Car, and Bus. Our campus is modern, well equipped with an elevator, projector, wifi, A/C and with Canteen and Bar. Certainly, one of best MBA Degree in Switzerland and in the world to become a leader in Hospitality Management. You will be trained in every department to become a Director. SHG Geneva is a top school in Switzerland in Hospitality. Our goal is to prepare students to become the best leaders in the Hospitality & Tourism industries thanks to our Swiss experience in education and in hotel management. SHG Geneva is combining academic courses with practical training and internships in luxury hotels. Thanks to this concept, our graduates are assured to obtain management positions offers in many countries worldwide.